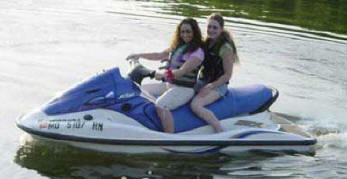 For a rip-roaring good time you will enjoy getting wet with one of our NEW Kawasaki Jets. The 160 HP engine gives you plenty of power for all the FUN you can stand. Up to Three People can all ride at the same time, it is so much fun you won't want to go all by yourself. Give your boat a forever home!! Nemo Marina offers discounts for multi-year storage contracts. The more years you give your boat a home at the lake the deeper your discounts will be. Inquire today and discover how much you can save!!! The sizes of our slips 10' X 24'. 10' X 28'. 10' X 32'. We have the newest rental fleet on Pomme de Terre. 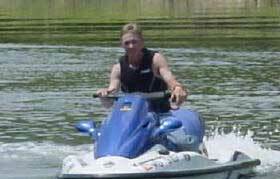 or zipping around the lake on a Jet Ski, we have it all. Copyright 2014; . All rights reserved.